This Sunday, April 10th is National Sibling Day. 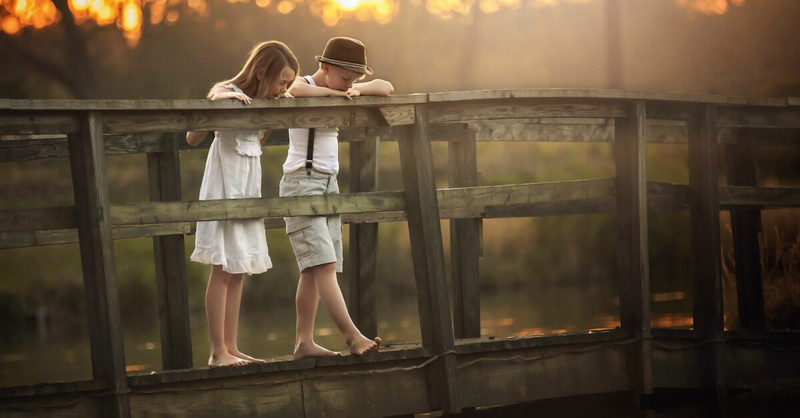 A sibling relationship is one of the most vital of all relationships we will have in this life. A best friend to grow up with, fight with, and fight for. Most days it feels like the “fight with” overshadows the fight for. The quote above makes me laugh! Why? My three precious children are fighting with one another as I type this post! 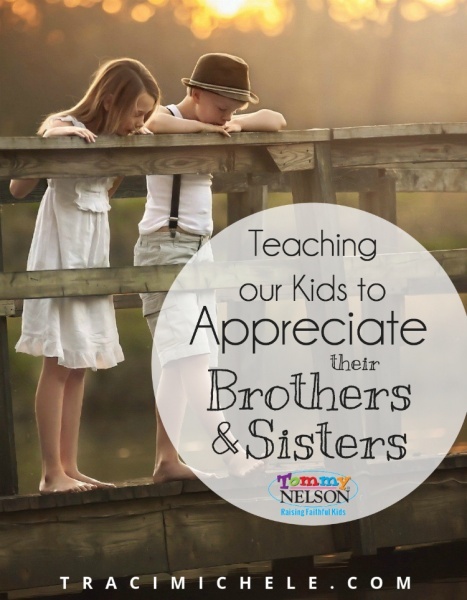 How do we encourage our children to appreciate their brothers and sisters? I’m not naive to the fact there will be plenty of fighting and arguing along the way, but my desire is that my children would learn to value and lean on one another throughout the rest of their life! They may not truly realize the value of their siblings until they reach adulthood. We all tend to mimic what we see whether we realize it or not. Mannerisms, behavior, body language, words, and the tone of our voice are extremely impressionable. We must model kindness and self-control before them on a daily basis. The Bible says that we are to outdo one another in showing honor. (Romans 12:10) That child with the competitive spirit? Share with them that we should be outdoing one another with showing honor and kindness. Wouldn’t you say this is one of the biggest things adults still struggle with? We are selfish creatures and our pride often wins. Help talk out solutions with your child and give them the opportunity to choose a resolution. When your children can make a decision like this, it will build their confidence for next time. If you are anything like me, you are quicker to correct than compliment your children. Without realizing it, we’ve created a habit of correcting our children (because we have so much opportunity to do so). Complimenting takes practice, and we have to start someone. Make every effort to go out of your way to praise your child. Focus on the godly traits they display. Acknowledge that you see the Holy Spirit working in their hearts and minds. Tell them how pleased you are and how much more God’s heart must be smiling. When your other children see you praising their sibling, they are more likely to do so as well. Even though we know there will be fighting along the way, express that respect will always be expected. Disrespect and bullying should never be allowed in our home. Sometimes we can be too quick to step in and break up a fight. It is often times noisy and frankly not what we want to hear. Next time your children are fighting, take a step back and see if they might be able to work it out on their own. Sometimes we don’t give our children enough credit to solve the problem at hand. Could one child be feeling left out? Whether we realize it or not, we could be playing favorites. Our children will pick up on this. We should make every effort spend time quality time with them individually. Really make the time to listen to their heart. What’s been bothering them? What are they passionate about? Knowing our children is so vital in getting to the why behind their behavior. You don’t need a formal devotion time. What works in one season of life, may not in another. But do make time to read the Bible together as a family. If you haven’t checked out the store, there are some amazing resources that might benefit your children during devotion time. You’ll want to be sure to take advantage of the free goodies as well! What’s your favorite thing about having a sibling? What do you love about watching your kiddos grow up together? This entry was posted in Blog, Product, Tommy Nelson and tagged Brothers and Sisters, Conflict Resolution, Fight, Free Goodies, Kindness, national sibling day, respect, siblings, Tommy Nelson by Traci Little. Bookmark the permalink.